Many of us feel we are living in pessimistic times at best, so it’s like a ray of sunshine on a cloudy day to see some pure, unadulterated optimism. 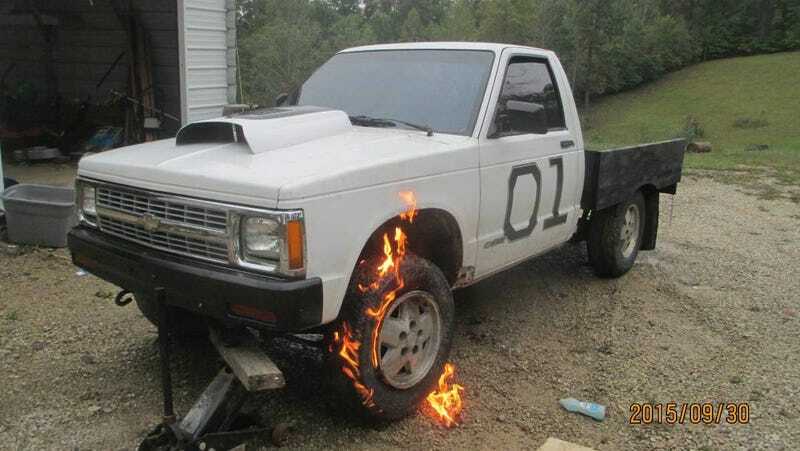 Let this Craigslist ad for a Chevy S10 suffering from a heap of problems—the least of which was temporarily being on fire—serve as a refresher for your world-weary soul. This ad is actually fairly trimmed down. The original ad mentioned that the hood scoop originally came from a lawnmower and that the interior is “better than you would think,” according to BangShift. For a $350 truck with a shattered frame and a lawnmower scoop, better than what I think the interior looks like is still not ‘nice’ enough. But this person is out there, trying their all to sell this broken beast. If you dream it, you can achieve it! And if you’re wondering where to see video of this truck performing burnouts (before the engine stopped turning over, of course) look no further.